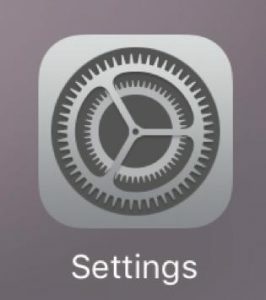 On the home screen, find the Settings app and tap to open it. You may need to swipe left and right on the home screen if you have multiple pages of apps. After opening Settings, midway down the left side is a button labeled “General”. 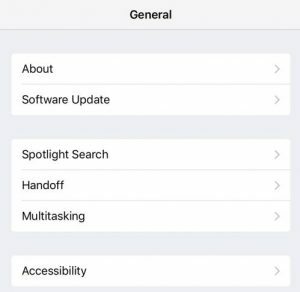 Tap to open the general settings menu on the right side. Tap about midway down the general settings menu on a button labeled “Accessibility”. 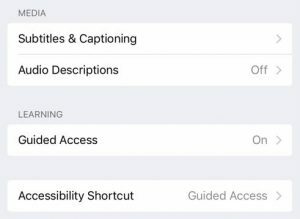 In the Accessibility menu, scroll down until you find the “Learning” section, and tap the “Guided Access” button beneath it. In the Guided Access menu, toggle the Guided Access switch at the top to activate it and reveal more settings. 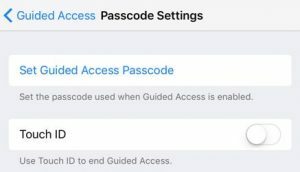 Tap the Passcode Settings button below to set a passcode or enable Touch ID for Guided Access. In the PixBooth app, triple-click the Home Button to enter the Guided Access settings, and select Start on the top right to activate it. 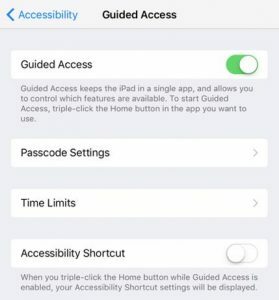 To disable Guided Access mode, triple-click the home button and use Touch ID or enter your Guided Access passcode. In the case that the app experiences a crash while in Guided Access mode, the device will automatically relaunch the app and load the last running event.